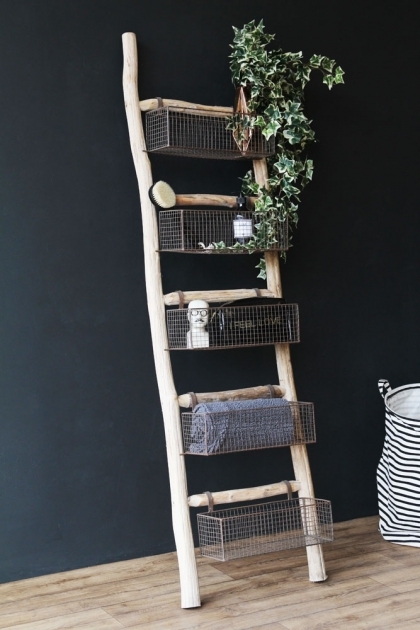 There is nothing to say that you couldn't display this Wooden Ladder With 5 Basket Shelves in a bedroom or any room that you wanted, but we think that it is particularly suited to the bathroom to keep all your toiletries and lotions and potions stored away in an exceptionally stylish unit. 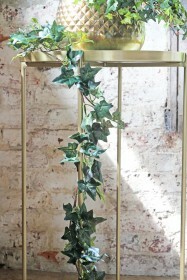 The main frame of the ladder is made from wood and looks like tree branches which then contrasts authentically with the iron baskets set on the ladder rungs. 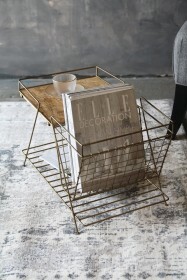 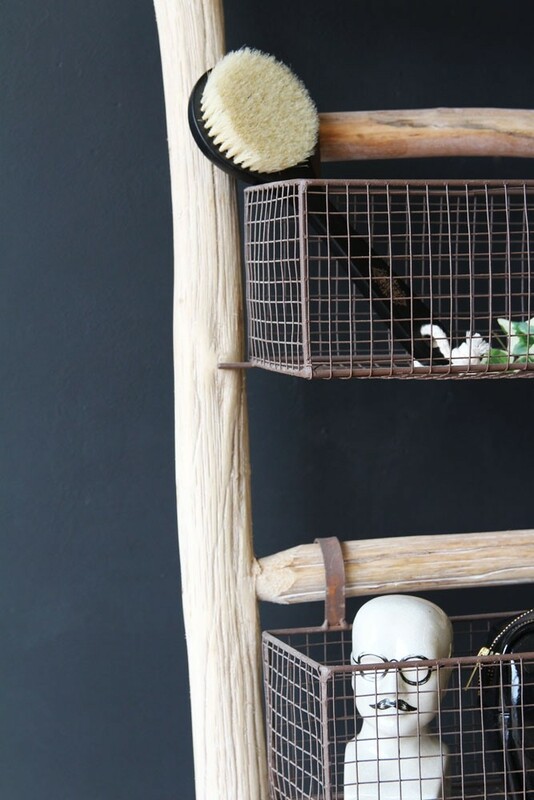 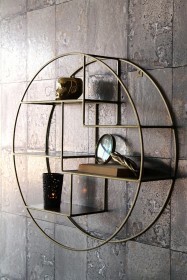 Shelf units can be a bit plain and boring but this ladder shelf is a great alternative to standard storage solutions and will be a great feature to your interior design.